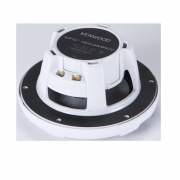 The Kenwood KFC-1653MRW 2way-2speaker features a Peak Power of 150W. It also has a water resistant PP cone and 1″ Balanced Dome Tweeter. Kenwood Canada has designed all of their marine speakers to feature power and precision to your boat’s sound system. 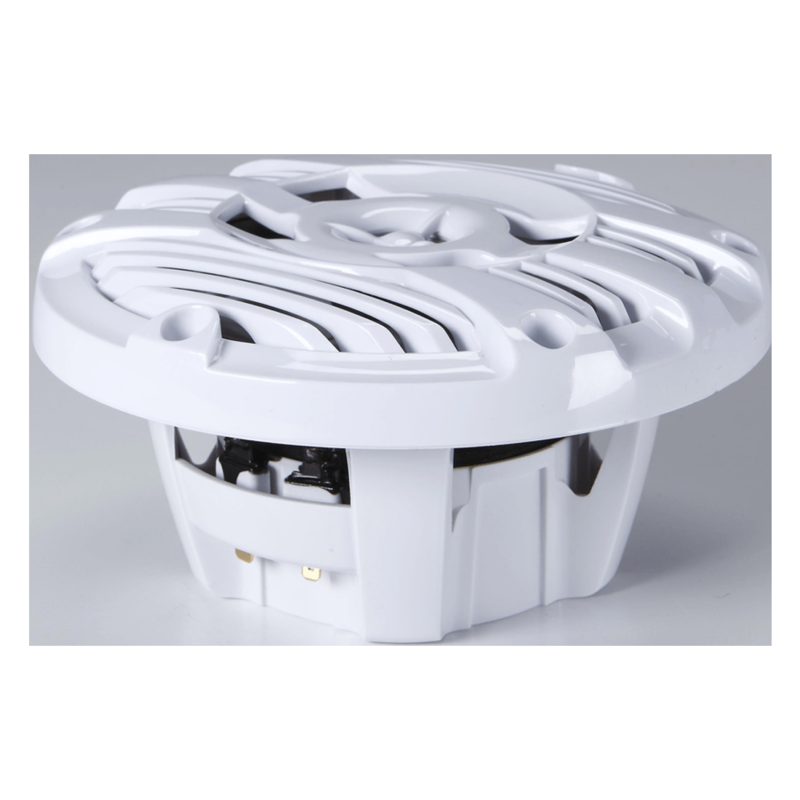 The KFC-1653MRW 6-1/2″ speakers feature water-resistant cone woofers that are designed specifically for marine use. These Kenwood speakers will sound great, even up to 50 watts, regardless of if you’re out on the water or relaxing at the marina. 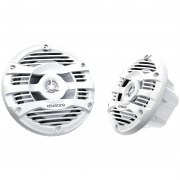 These Kenwood marine speakers are specifically designed to shrug off the harmful effects of water, salt, and sun, too. 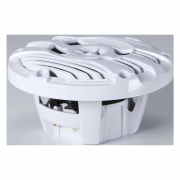 They feature white UV-resistant grilles, composite speaker baskets, and stainless steel hardware, they’ll give you outstanding performance for years to come.